Hailed by some as the second coming of Jimi Hendrix, Gary is four parts Texas roadhouse blues, two parts new soul, and a dash of hip hop for good measure. If Maxwell and Stevie Ray Vaughn had their DNA spliced, the end result would be GCJ. His current tour is in support of his major label (Warner Bros.) full-length debut, Blak and Blu, which has been gaining popularity and acclaim since last fall. Singles of note include “Bright Lights,” “Numb” and the R&B-inspired title track “Blak and Blu.” The Austin, Texas native has been keeping it weird at Austin City Limits, South By Southwest, Bonnaroo, and other music fests through relentless touring since ’08. Don’t miss your chance to check out one of the best new blues guitarists in the country when he makes a stop in Nashville, because he may be on a world tour before too long. Trust me, he’s even better live than what you’ve heard from his studio work. The opener, also hailing from Austin, Warren Hood, is a fiddle virtuoso who attended Berklee School of Music, and even earned one of the school’s top honors, the prestigious String Achievement Award. His sound is like a more country version of Josh Rouse, or how I imagine Ryan Adams would sound if he had never left the south. Warren and his Warren Hood Band are touring in support of their self-titled album, which was released earlier this summer. (Bonus) Did you RSVP and Share on Facebook? If you’re having issues with the above form, you can alternately send your full name in an e-mail to [email protected] with “Gary Clark Jr Giveaway” in the subject line, and please let us know if you shared on Facebook. 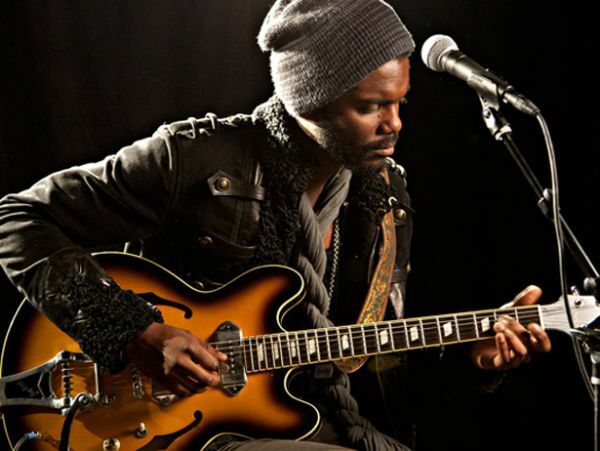 Gary Clark Jr. and Warren Hood will perform on Tuesday, 10/15 at Marathon Music Works. The show is 18+, begins at 8pm (doors at 7pm), and tickets are available to purchase for $25 or $28 at the door.